Every day I wake up to battle a dragon. I’m not in Game of Thrones, I don’t own an Xbox and I’m not crazy. I am a Type 2 diabetic. Diabetes is my dragon and it’s a relentless adversary. I confront it every morning as soon as I get out of bed by testing my blood sugar, which I do again multiple times throughout the day. 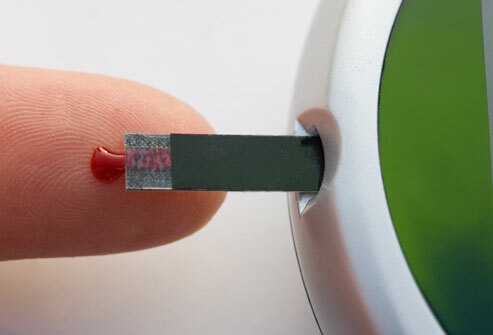 With type 2 diabetes, the body either doesn’t produce enough insulin, or it resists insulin, resulting in high blood sugar, which can cause severe damage to your nerves, blood vessels, eyes, and vital organs. To combat this, I follow a strict program of diet, exercise and prescription medications to maintain my blood sugar at a healthy level and because of my diligence, I’m successful. I wasn’t born with diabetes but it runs in my family, so eventually, by the age of fifty, genetics and a bad diet caught up with me. I suffered from many diabetic repercussions, including massive weight gain, exhaustion, high blood pressure and yes, impotence. While I now follow a disciplined routine that helps manage the disease, diabetes wasn’t something that just happened to me. It unfolded over a long period of time. Like many people, I knew very little about the diabetes and thought it was something people were born with or just developed from eating too much sugar. Approximately 30 million Americans suffer from Type 2 diabetes and there are an estimated 100 people diagnosed as pre-diabetics. In 2013 there were 382 million people living with diabetes and The World Health Organization declared the condition as “epidemic.” It is estimated that one in three Americans will suffer from diabetes by 2050. Annual per capita healthcare costs for people with diabetes are three to four times greater than for individuals without diabetes. Once diagnosed with diabetes, you’ll find there are many methods of medical treatment available, yet too little is done regarding prevention and management. Today, people spend time on social media, follow sports teams, study the stock market and pursue a wide array of hobbies that consume a significant part of their time, yet they know very little about themselves. When I was younger, I could have done much more towards preventing diabetes had I been properly educated on the subject, especially regarding diet and exercise. Now, with same diligence I give to the sports pages, I make sure to read something every day regarding my health and I test different diet and exercise programs regularly to see how my body responds. My unique approach is to not follow one exclusive plan. We are all individuals and while one particular diet may prove effective for me, it may not for others. I try to take what works best for me from a variety of options and adjust them accordingly over time. After turning sixty, I found it was necessary to adjust my food and alcohol intake and increase my fitness regimen to maintain my optimum weight and blood sugar levels. It doesn’t matter if you’re diabetic, people must manage their own health more proactively and work towards preventing diabetes, heart disease and other illnesses. I will be posting regularly on this website with tips, suggestions and interviews with health and medical professionals. Rob Taub has enjoyed an eclectic career in film, television, radio and journalism. He has interviewed everyone from pop stars to presidents and he has written more than 250 articles for People Magazine, Foxnews.com. SI/Cauldron, The Huffington Post and Thrive Global. Rob’s work in television has encompassed everything from scripted comedies to producing World Wrestling Entertainment, and his distinctive voice can be heard in commercials and movies, including the Coen Brothers Miller's Crossing and Barton Fink. He is known for playing the role of weatherman Russell Carlton on The Onion News Network and has made more than 200 appearances as a political and sports pundit/humorist on television. Rob is a respected Diabetes Advocate and Obesity Ambassador, writing and speaking regularly about Type 2 diabetes and health.